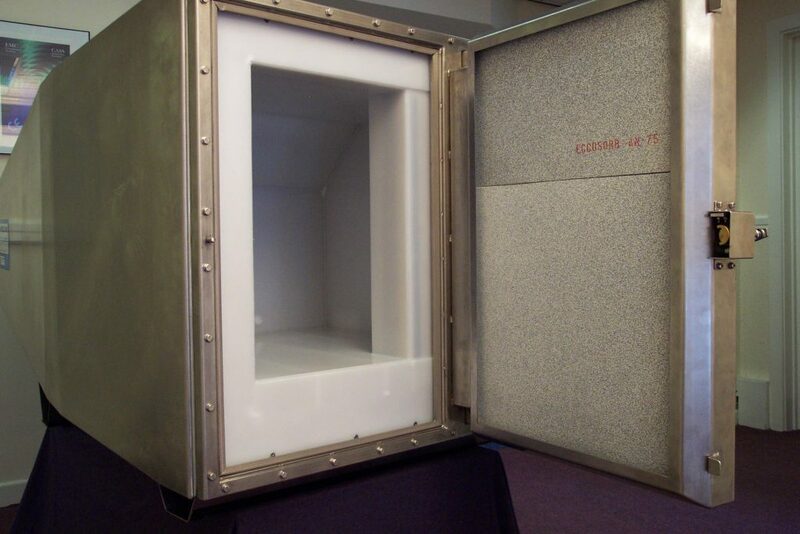 Test chambers for radiated EMC emissions and immunity testing provide a controlled environment suitable for radio frequency measurements. 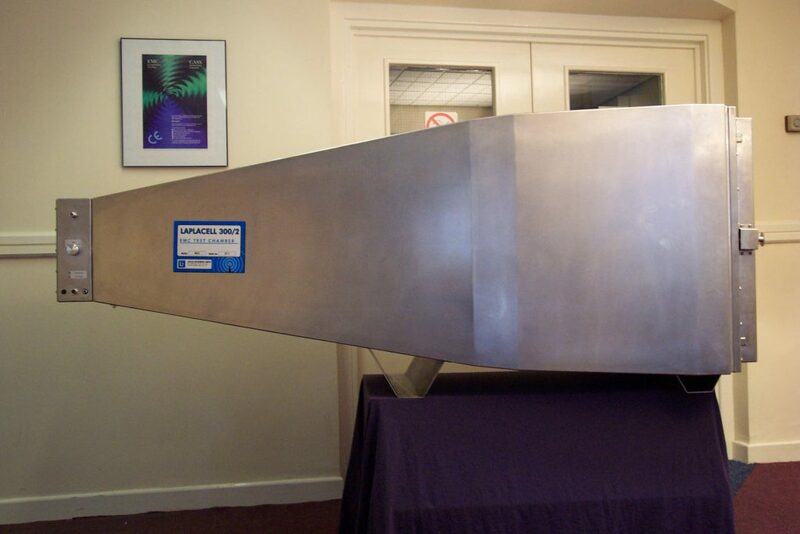 The pyramidal shape of the Laplacell is designed to create a plane electromagnetic wave expanding outwards from the apex without forming unwanted resonances. 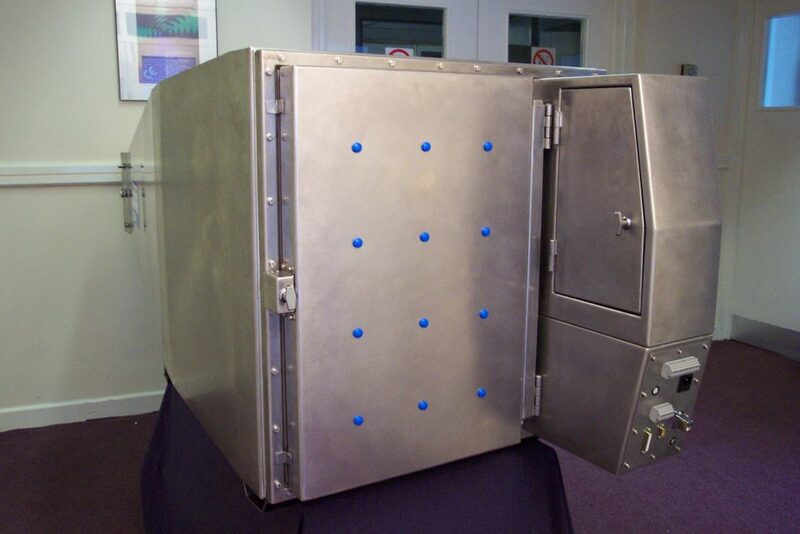 The LC300 is an ultra compact EMC test chamber ideally suited for testing handheld and other small devices. 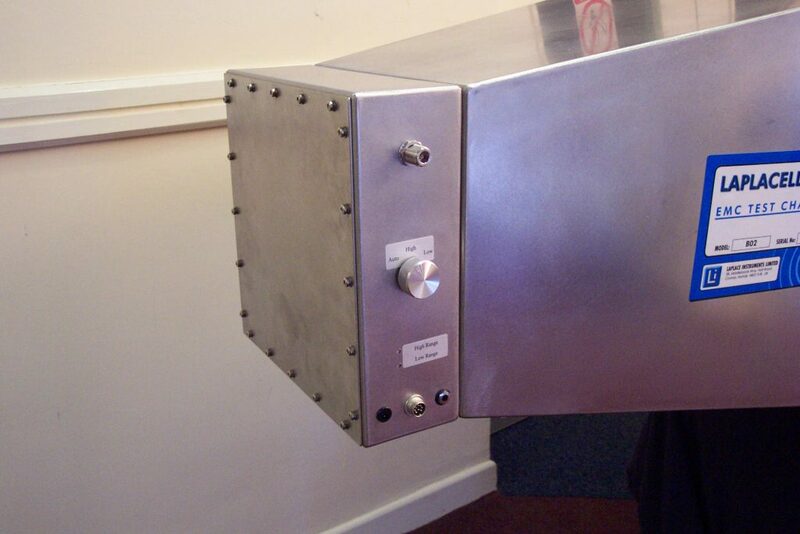 It is intended to be table or bench mounted, and the usable internal test volume is a 300 x 300 x300mm cube. This small chamber is also extremely useful for prototype PCB development and diagnosis. A limited range of filtered connections is available including mains input and twelve filtered outputs at seven amps provided as standard. Custom connections and filters are available on request. Other specification changes for special purposes are negotiable.